January 12, 2017  Looking for a companion to Shirley Collins' recent World Cafe session? 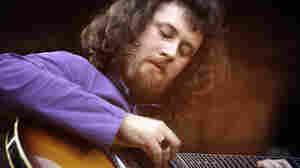 Try this hour-long set of music by John Renbourn, Fairport Convention and more. April 5, 2007  Bob Boilen talks with legendary music producer Joe Boyd about his work with artists like Pink Floyd, Nick Drake and Eric Clapton in the 1960s.